Are you considering homeschooling your child? You can do it! As you get started, it’s important to make sure you comply with the education laws where you live. This page helps you understand how to homeschool legally in Maryland—step by step. Compulsory school attendance begins when your child turns 5 and continues until your child turns 18, or obtains a high school diploma or GED. A child who has completed a program of regular, thorough instruction in the studies usually taught in public schools to children of the same age is not subject to compulsory attendance. If your child turns 5 during the school year, you can have him or her excused from the attendance laws for that school year. To do that, send your superintendent of schools a written request before that school year begins. HSLDA believes that a parent-issued diploma and transcript should be sufficient to demonstrate that a child has completed a secondary education. However, even if your child is beyond compulsory school attendance age, there may be situations where you would want to continue to follow the requirements of a home education option recognized under Maryland law until your child graduates from high school (filing a home education notice, keeping attendance and other records, etc.). These records may be requested in some situations, such as obtaining a driver's license if your child is a minor, enlisting in the military, applying to colleges, or demonstrating eligibility for Social Security benefits. If you are a member of HSLDA and would like additional details, please contact us. We invite you to become a member of HSLDA to receive specific advice about withdrawing your child from school and starting to homeschool. Local schools may have specific forms or withdrawal procedures. HSLDA members are eligible to receive individualized advice about whether complying with those procedures is advisable or required. HSLDA members can also use the sample letter of withdrawal for Maryland available in Member Resources to correspond with school officials. There are three options for you to homeschool legally in Maryland. To homeschool under this option, you’ll need to follow these guidelines. 1. File a Notice of Consent form with your superintendent. Your child could be considered truant if you withdraw him or her from school without immediately filing this form. The form is available to HSLDA members here. On the form, select the legal option under which you are homeschooling (the portfolio option). The required subjects are math, English, social studies, science, art, music, health, and physical education. 3. Provide the required instruction. You must provide regular, thorough instruction in the required subjects. This instruction must be “of sufficient duration” to implement your instructional program. You must maintain a portfolio of your educational materials. This should include instructional materials and reading materials, as well as examples of your child’s writing, worksheets, workbooks, creative materials, and tests. 5. Respond to your superintendent’s requests to review your portfolio. The local superintendent can review your portfolio at a mutually agreeable time and place. He or she can do this only three times a year. (In practice, this usually happens once or twice a year.) HSLDA strongly recommends that you not bring any of your children to the portfolio review. If you do not feel comfortable during your portfolio review, for subsequent reviews consider dropping off your materials and using a phone call to discuss them rather than doing it in person. This can be a bit awkward, but some portfolio reviewers treat parents quite badly and it can be worth it to avoid a face-to-face meeting. If the superintendent reviews your portfolio and determines that your child is not being educated in accordance with the regulations, he or she must notify you of these deficiencies in your program. You will have 30 days to provide evidence that you have corrected these deficiencies—otherwise you will have to stop homeschooling. You can appeal a decision of the superintendent to the school board within 30 days. You can then, if necessary, appeal the school board's decision to the state board of education within 30 days. 6. Be aware that the school cannot impose additional requirements. Local school systems cannot impose additional requirements for your homeschool, other than those listed in Maryland’s regulations. To homeschool under the church umbrella option, you’ll need to find a church umbrella. This is a school or institution that offers an educational program operated by a bona fide church organization. Some homeschooled students have encountered significant problems when applying for law enforcement jobs in Maryland with a diploma issued by a church umbrella. The Department of Education takes the position that an umbrella program cannot issue a valid diploma because it is not a school. 1. Select and join a church umbrella. You will need to pick out and join one of the many available church umbrellas before submitting your Notice of Consent, since you will need to identify the name of the umbrella you joined on the notice. 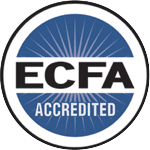 documentation that establishes its bona fide church status (either proof from the Internal Revenue Service, or the church’s articles of incorporation, or evidence of traditional church practices). 2. File a Notice of Consent form with your superintendent. 3. Have the church umbrella supervise your instruction. Church umbrella programs provide some level of supervision of and support for the home instruction of their members. Most umbrella programs charge a fee. Generally speaking, the more services an umbrella provides, the higher the fee it charges. periodic conferences with parents (these can be done by phone). Note: You can take care of the pre-enrollment conference, textbooks and lesson plan review, and annual visit to the site of instruction all in the same meeting. 4. Regularly verify your involvement in the umbrella program. You must annually verify to your church umbrella that you are going to stay involved in the program. You must also notify your umbrella if you move, stop homeschooling, or switch from one homeschool option to another. Your umbrella program will provide various types of information to the local superintendent based on these communications. To homeschool under the state-approved school umbrella option, your local school must assign a school-based teacher to assist the home teacher and to issue progress reports, mark papers, and grade tests. On the form, select the legal option under which you are homeschooling (the state-approved umbrella school option). 2. Regularly verify your involvement in the umbrella program. You must annually verify to your school umbrella program that you are going to stay involved. You must also notify them if you move, stop homeschooling, or switch from one homeschool option to another. The program will provide various types of information to the local superintendent based on these communications. You can find Maryland’s specific recordkeeping requirements, if any, above. Regardless of what state you live in, HSLDA recommends that you keep detailed records of your homeschool program. These records may be helpful if you face an investigation regarding your homeschooling or your student needs to furnish proof of education.